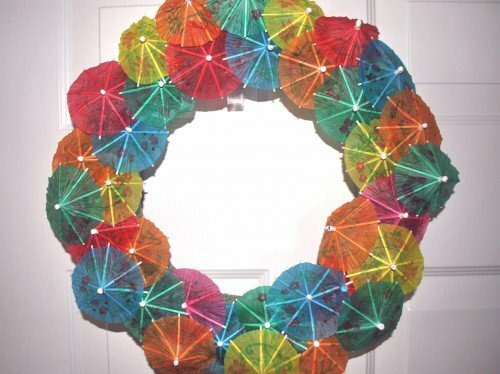 Cinco De Mayo Party Wreath! Hosting a Cinco De Mayo party this year? Try this party wreath for a festive way to welcome your guests. 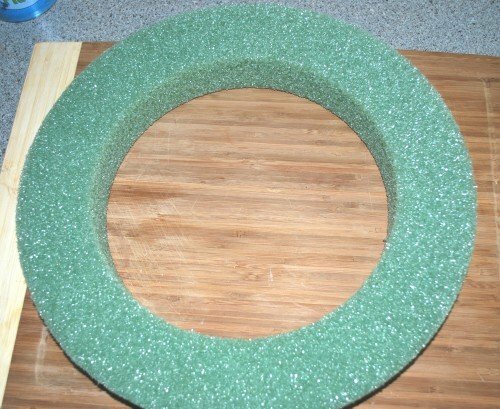 This wreath is easy to make and the supplies will cost you under $10! I was also able to make it in about 15 minutes, so it’s perfect for moms with limited time. Just be sure to provide plenty of drink umbrellas for your guests’ drinks so they don’t steal them from your wreath! Step 1. Untie all the drink umbrellas and expand them so they fold out to a full umbrella. Step 2. 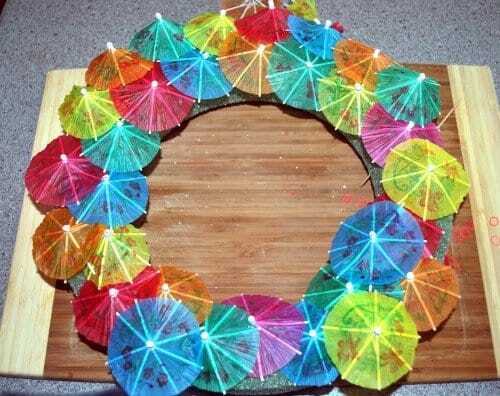 Place each umbrella into the foam wreath covering the whole front of the wreath. Be sure to rotate colors. You don’t have to stick them all the way in, (it looks better if some are stuck further out to add dimension to your wreath). Step 3. If any of the picks are sticking out in the back, cut them down so they don’t poke anyone! Step 4. Hang your wreath and get started on those festive drinks!